There are many ways to get from point A to point B. Travelling is more than just arriving at any specific destination. This is true of the physical spaces through which we traverse, particularly with the distances we travel here in Canada. We can map the journey according to our preferred or chosen methods of transportation. We can plan our trip from a current location to a destination of choice, but often serendipity or unexpected events occur that impact the outcomes of the journey. how we treat others as we travel. This is true in our real life adventures on the roads and rails, but also evident in the digital journeys we take. Trips from point A to point B through digital spaces (courses, social media locations, collaborations, events) are rarely straight lines or binary events of getting from here to there. It’s the journey that we’ll remember, as we look back on how we got from a beginning (point A) to an ending (point B). It’s about the people who share the experiences along the way and those we meet along the journey. As I reflect on my recent travels to Delft to attend the Open Education Global Summit (OEGlobal) and to Sudbury to the Canadian Network of Innovation in Education (CNIE) Conferences, I’m looking deeply at my wayfinding experiences of getting from Point A to Point B. As I reflect, I’m noticing parallels in the digital wayfinding I’ve been doing with eCampus Ontario in the Ontario Extend program. I’m focusing, here in this post, on the journey and will examine wayfinding in digital teaching and learning in a subsequent post. recognizing that you’ve reached your destination. Wayfinding is described as “the cognitive, social and corporeal process and experience of locating, following or discovering a route through and to a given space” (Symonds, et al. on Wikipedia). Wayfinding is a complex task that involves sociocultural and psychological factors, sometimes explicitly visible, but often intrinsic and implicit. For me, wayfinding is not just the act or actions of the individual, but also the design elements that support or hinder the process of getting from point A to point B. Wayfinding can be applied to both physical and digital spaces. how we navigate through crowds. There are no previous experiences that can fully prepare anyone for a travel event, but relying on a set of tried and true strategies that work for you, are an essential component of wayfinding. My trips to Delft and Sudbury, as well as my navigation into Ontario Extend, have required me to enhance several wayfinding strategies and techniques that I applied while travelling with family members last fall in Cambodia, Viet Nam, Laos and Thailand. Being the ‘agent’ of my travel and having control of the arrangements required a certain level of comfort with and responsibility for my own preferences, and awareness of the needs of others, along the journey. Getting to and from Delft involved navigating roads in and around Pearson Airport and Schipol Airport. It involved locating airline counters and security clearance areas in three airports. Following and decoding signs to find trains and platforms in the Netherlands rail systems were the next challenge that was faced. Preparations for this included using the Netherlands train trip planner. Preparing to navigate foreign spaces included accessing, downloading and using the Maps.Me app in order to freely walk around Amsterdam and Delft without the need to be Wi-Fi connected or pay exorbitant data fees. Locating and tagging conference venues in Delft and Sudbury involved the use of mapping tools and GPS. This was particularly helpful when my internal navigation system warned me that I was going in the wrong direction. Course corrections such as retracing steps, checking the Maps.Me app, and looking for signs and familiar landmarks, occurred frequently. When external events impacted travel plans, such as the King’s Day celebrations, an electrical outage at Schipol airport, and Memorial Day ceremonies in Amsterdam, it was helpful to have a backup plan for dealing with challenges. There’s always a ‘plan B’ should things go wrong. Getting lost as I drove into the Greater Sudbury area prompted me to pull over, plug into the GPS to get re-oriented to the correct route, and then revise my directions were Plan B strategies to help me get to the destination. Strategies such as these, from geographic experiences, can be applied to work in digital spaces. Navigating into the eCampus Ontario Extend Modules and Activity Banks can be done with the digital maps available, as found on the website, but having a ‘kick-off’ event supports the user’s (traveller’s) location identification, provides essential navigational cues, and identifies some interesting sites to see. There are no specific global positioning systems (GPS) to pinpoint what you need to find, but you can zoom in to locate specific locations. While the Ontario Extend space is designed as an explore-and-find opportunity, there are specific geographic locations to aggregate and connect – sort of like the check in counters at the airport. Flying KLM from Pearson, check-in today is in Zone F – working on curating, the counter is marked and identifiable. Want to find others on your flight, have a seat anywhere around Gate #27. Want to find other ‘extenders’ – go to the blog hub, dip into the Daily Extends (#oext…) or check out the hashtags #ExtendEast or #ExtendWest. What about planning the trip? I usually sequence a trip chronologically and create a one-page summary which can be left for those who need to know the itinerary. For this Ontario Extend experience, someone was kind enough to capture and share a one page Excel spreadsheet listing all the extend activities. You are welcome to download and/or copy for your own use. This has become a GPS locator for my personal tracking through the Ontario Extend activity bank spaces. For Delft and Sudbury, decisions about whether to travel with paper copies or digital versions of maps, directions, boarding passes, confirmation numbers, and flight information was dependent not only on my own levels of comfort, particularly when I considered the need to resolve potential issues, but I also recognized the needs of travelling partners. The psychological comfort of having a paper copy of documentation was a wayfinding decision made many months prior to the travel event. Digital boarding passes, while convenient and easy to use, are an uncomfortable replacement for the tactile assurance of a paper copy for a traditional traveller. Within the Ontario Extend experience, paper copies are redundant and unnecessary, but can be assurance of travel markers achieved. Capturing location information along the trip, as part of the process of ensuring that I was on the right track, was one strategy that worked for me. This strategy also turned out to be a helpful mechanism for recognizing that I’d reached my destination – the completion of the Teacher for Learning and the Curator modules. This strategy is replicable for others who will travel the same routes, a digital ‘trip-advisor’ of sorts. My plan B for the eCampus Ontario Extend, has been to retain my current blog domain (Five Flames for Learning) while I navigate and create in the new digital spaces and learn the terrain in the Reclaim Hosting Domain of One’s Own. I’ve set up an Extending Thinking blog space, will selectively use it to create content for the Ontario Extend modules, and continue to explore how to develop a splash page entry point. When issues occurred, it was good to know there was a helpful source of support. Just as the information kiosks, ‘you are here’ maps, and explicitly signage found in physical spaces like Schipol airport or the Amsterdam Centraal train stations, the resources within eCampus Ontario digital spaces, particularly for setting up your own domain, provide much needed information and guidance in these complex and foreign territories. By summarizing these experiences, I come to realize and understanding my personal preferences while travelling, in both physical and digital spaces. My awareness of the needs of others, as they navigate into, through and within physical and digital spaces has been heightened as I’ve travelled – since these wayfinding experiences are sociocultural activites, not singular or isolated occurrences. Recognizing the common and divergent experiences of the other Open Education Fellows (#OEGFellows and #OEFellows) shows how we need to be open to mechanisms and strategies that others apply to get from point A to point B. Within the Ontario Extend modules, there is free range to explore pathways, build a plan, set a direction, work towards an end-goal – there are no single ways or right/wrong ways to get to your destination. For many who like to travel with a guide or learn from others who’ve been there before, that’s also possible – just reach out and ask. A trip-advisor is only a tweet or blog entry away. Set your personal GPS on ‘start this trip’ and enjoy the journey. Let serendipity and unexpected events positively impact the outcomes of your travels. Stop along the way to smell the coffee shops, tulips and trilliums along the roadsides. Gather with others to share conversations about where you’ve been, what you’ve seen, and the special highlights along the journey. Recognize and celebrate moments along the journey, especially those ‘Gala-dinner’ events such as those in the Princehof Museum courtyard, Science North cave or this “Does Helen get a badge” blog post written by Terry Greene. Recognize that it’s not the destination, getting from point A to point B, but the journey of getting there, that is the important focus for any trip. Whether it’s an international trip to Delft, a long road trip to Sudbury or a badge at the end of an Ontario Extend module, getting to Point B is part of the overall experience. So keep your focus on the journey, on the people who are part of your journey experience, and on the memories of the trip, including what happens when you get to Point B. After the excursion is over, and you’re home safely at the end of the trip, it’s the journey you’ll remember and share with others. Symonds, Paul; Brown, David H. K.; Lo Iacono, Valeria (2017). “Wayfinding as an Embodied Sociocultural Experience”. Sociological Research Online. 22 (1): 5. doi:10.5153/sro.4185 found on Wikipedia. 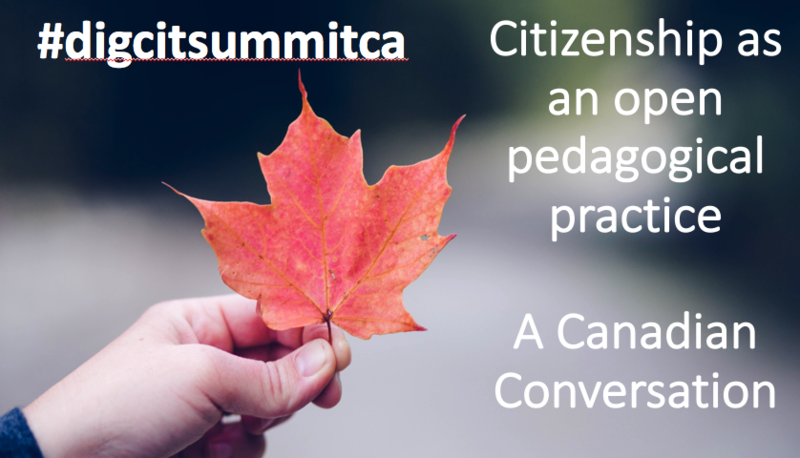 Quote | This entry was posted in #OEOFellows, Ontario Extend, Together and tagged #CNIE2018Sudbury, #OEGFellows, #OEGlobal18, eCampus Ontario, journey, Ontario Extend, plannning, travel, wayfinding. Bookmark the permalink.